Harmer Editorial Ltd is a Berkshire-based company offering writing, editing and proofreading services. It’s owned by director Alison Harmer, a tea-fuelled copywriter, editor and proofreader who can turn the dullest, most complex copy into punchy, easy-to-read content. “I began work as a journalist in 1987 and since then I’ve helped many agencies, corporates and charity and public sector clients to communicate clearly and effectively with their employees and customers – aided by around 30,000 cuppas. Before she went into corporate communications, Alison was deputy editor on Printing Industries magazine at the British Printing Industries Federation. She left to join a succession of top employee communication agencies as a senior writer and editor, winning many awards for major corporations. In 2000 she jumped the agency fence to see what it’s like as a client, becoming head of visual identity at a major investment bank. She went freelance in 2001 and incorporated her business in 2O13. “My style is relaxed. I’ll make your writing project an enjoyable, hassle-free, fun experience. I’ll get to know you first, asking plenty of questions about your organisation and its communication goals. “Then I’ll take your brief, whether it’s simple or complex, and write and edit copy tailored to your audience. 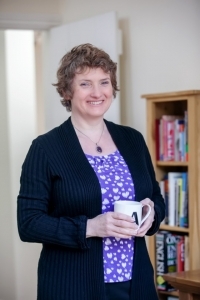 As a freelance copywriter and editor Alison enjoys working with a wide range of companies, from local Berkshire-based businesses to global organisations.